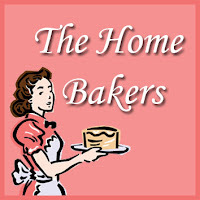 Time really flies, it’s time for another Home Bakers! I have missed the previous one because I kept forgetting to search for polenta. I finally bought a small packet of it today so I will be attempting the bake this weekend 🙂 There are 9 days left to that bake so if you want to join us, do head over here for more information! Back to the bake this time, chosen by Eileen of Hundred Eighty Degrees. This is indeed a very interesting cake – orange and raisins are blended into a paste and added into the batter, and because the raisins are soaked in a little rum before hand (tip from Eileen!) the cakes turned out really moist, delicious and very fragrant. Keeping the post short as I really need to catch more sleep (been working late for the past few days), so here are the step-by step photos! 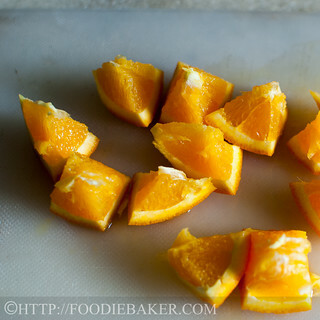 1) Chop up 1/2 an orange. 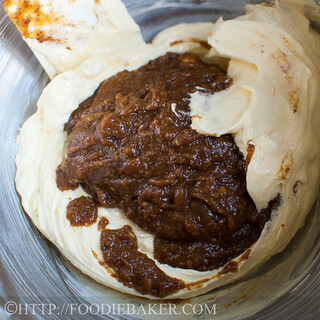 2) Blend it together with some rum-soaked raisins. 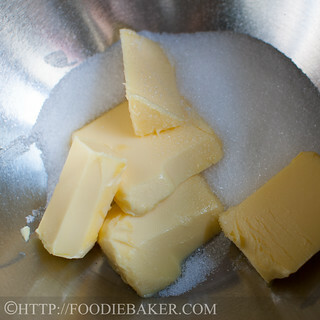 3) Cream butter and sugar together until light and fluffy. 4) Beat in 1 egg. 5) Then mix in the orange and raisins blend - looks a little gross here but don't freak out! 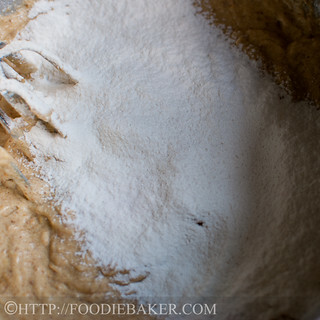 6) Sift in 1/2 of the flour mixture and beat it in on slow speed. 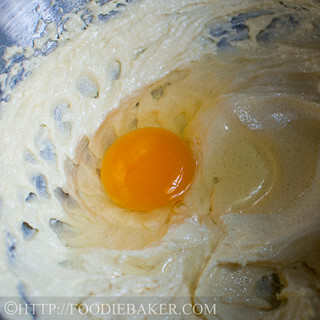 7) Add in the buttermilk and beat it in. 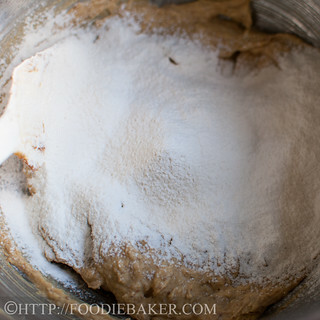 8) Sift in the remaining flour and beat it in. 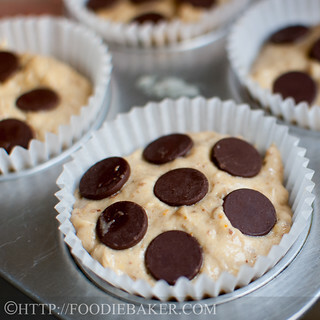 9) Scoop them till they're 3/4 full and top with chocolate chips. 10) Make a smiley face! I’m submitting this to The Home Bakers, do click here to see all other fellow home bakers’ bakes! I baked the cupcakes at 175 degrees Celsius for 20-25 minutes, until a skewer inserted into the center of the cake comes out clean. For the full recipe, please head over to Eileen’s blog! 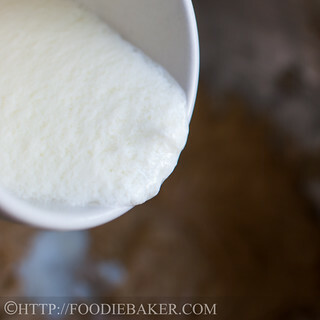 To make 1 cup of buttermilk, measure 1 tablespoon vinegar / lemon juice and add into an empty measuring cup. Add in milk until it reaches 1 cup. Stir and let sit for 5 minutes. Stir before using. Hi Jasline… Thanks for checking out my blog and liking my recent post! 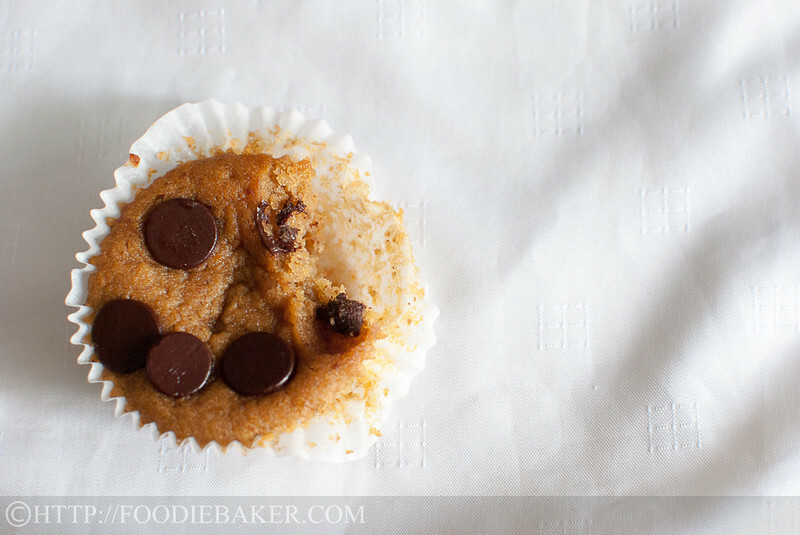 You have some amazing recipes on your blog, like these cupcakes. They sound delish! HI, Im just drop by to have a bite of ur cake, thanks. Hi Zoe! I think your take on the recipe is very interesting! Would never have thought of using boiled orange! 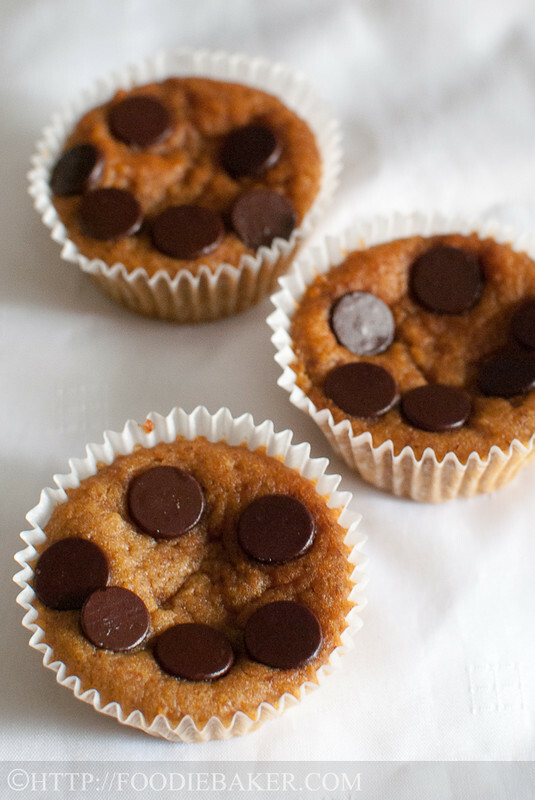 Your mini orange chocolate cakes look very cute with its mini polka dot design. 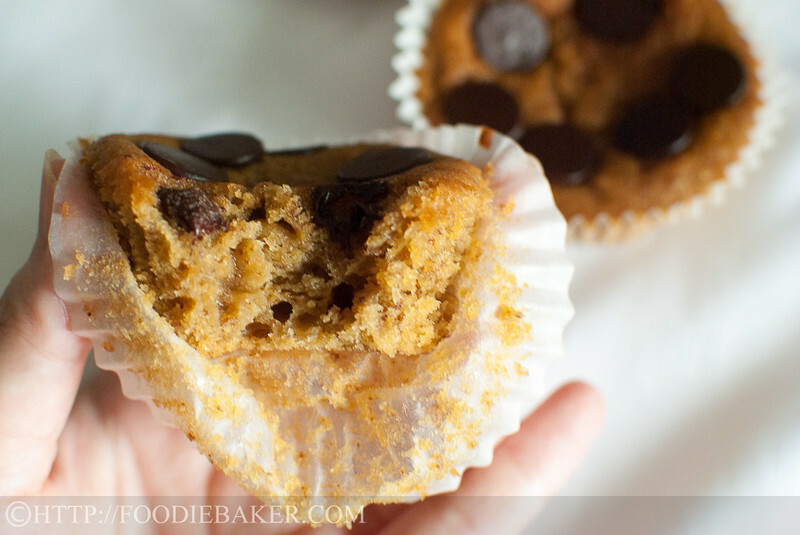 I didn’t like raisin in this combination and change the recipe too dramatically… Ops! Wish I could send one to you my friend! Take care! Blending orange and raisins together is a great idea.Yum! I will have to try this! I know I’m not much of a baker but creating a puree of orange and raisins is new to me, Jasline. I can see, though, where it would be a great way to combine really disparate flavors and distribute the combo evenly throughout the batter. Very clever, as are the smiley faces! These sound great. Although rum and I aren’t friends. And, I’ll be curious as to what you’re going to be using polenta for as I can now buy that in a small International store. Seriously, I don’t think I’ve ever had polenta. Orange and chocolate are my favorite combination, the cupcakes look incredibly moist and delicious. 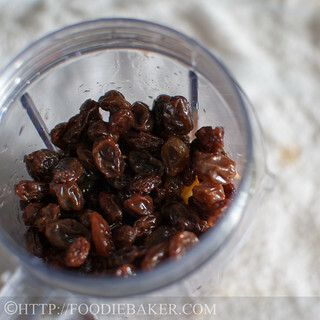 I am not a fan of raisins, can the recipe do without or is there something you would substitute? I love the simplicity and delicious flavors. How cute! 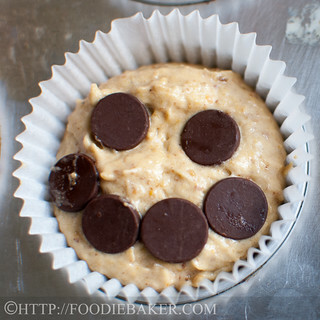 Happy face cupcakes! Hi Lena! 🙂 Thank you! Can’t wait to see your bake! Since it’s already 12.35am… I’m gonna say good night! Take care! Haha, I managed to get off work earlier today so I was able to squeeze out this blog post. I’m so looking forward to Labour Day! Two more weeks! Hi Jasline, I like your cakes topped with choc buttons, look so good visually and I’m sure yours turned out perfectly excellent: ) looks like we’re on the same boat, I’ve been working 11-13 hours at the office, first to arrive and last to go everyday for three weeks. Seriously need a break! Sigh… . 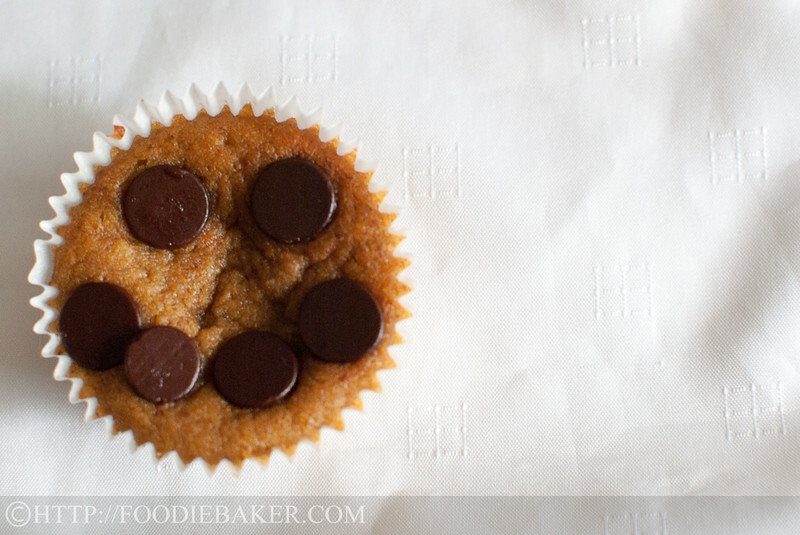 You’ve made them into lovely smiley cupcakes! At first I wanted to make them into cupcakes, but I am forever lazy at washing my muffins pans, so many holes to clean! hahaha! that’s me, plain lazy! This is indeed a very delicious, moist and tender cake. We love it!